The running back credits his team's overall improvement as the key to his big senior season. Portland High senior Zack Elowitch says there’s a simple reason why he led Class A North in carries (152) and rushing yards (1,207) during the regular season. Portland (7-1) is the No. 1 seed in Class A North and will host No. 4 Edward Little (5-4) for a regional semifinal at 6 p.m. Friday at Fitzpatrick Stadium. 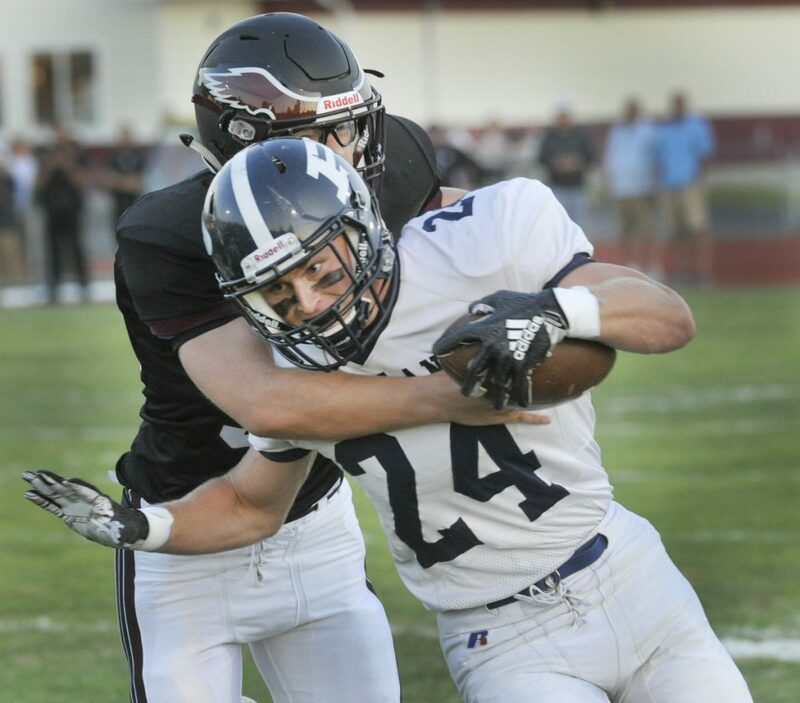 Last season, Portland was ravaged by injuries in a 4-7 season that ended with a regional final loss at Windham. This year, the Bulldogs returned most of their starters, added some key transfers and have stayed relatively healthy. And Elowitch has been much busier out of the backfield. Last year, he had only 66 carries in the regular season, for 264 yards and four touchdowns. Tight ends Grant Jacobson and Tyler Blazejewski, two 220-pound transfers, have been leading the way and setting the edge. That has allowed Elowitch to complement his inside running with more dashes to the outside. Elowitch has put himself in contention for the Fitzpatrick Trophy, given to Maine’s top senior. On defense, he’s played “wherever we need him,” Hartman said, making 34 tackles with a sack and two interceptions. His 36.2-yard punting average ranks second in Class A North. Elowitch is related to Yudy Elowitch, who created the Fitzpatrick Trophy. BONNY EAGLE (5-3), the third seed in Class A South, didn’t expect to have an extra week off after losing its regular-season finale to Scarborough, 48-35. Then South Portland announced it would skip the playoffs, giving the Scots a little extra time to ponder how they can bounce back from three straight losses heading into Friday’s rematch at Scarborough (6-1). Quarterback Zach Maturo will return after missing two games because of a shoulder injury. Coach Kevin Cooper expects to use both Maturo and Keegan Meredith, who threw four TD passes against Scarborough, but he’s more concerned about his defense. STATE OF THE STATE: The 25 regional quarterfinals were decided by an average of 27.16 points. Four lower-seeded teams won, all in Class D. The four 1-vs.-8 games and the other three 2-vs.-7 contests were decided by an average of 44.4 points.